Super Bowl LIII is just around the corner. It is set to start at 6:30 PM EST on February 3. If you are planning to stream Super Bowl online, you should note that you may be targeted by hackers. According to experts, the Internet can be swamped with illegal streams set up by hackers. This chaotic environment could result in costly ransoms. The cyber-criminals would have the chance to hang around your devices, trying to steal passwords, email detail, credit card details, and other sensitive data. Published by Andrew Gonzalez on February 2, 2019 8:39 am and last modified on February 13, 2019 1:42 am. Do you know what is BullGuard VPN? Have your heard of this VPN product? If not, we will get you a short description on introducing what it is. 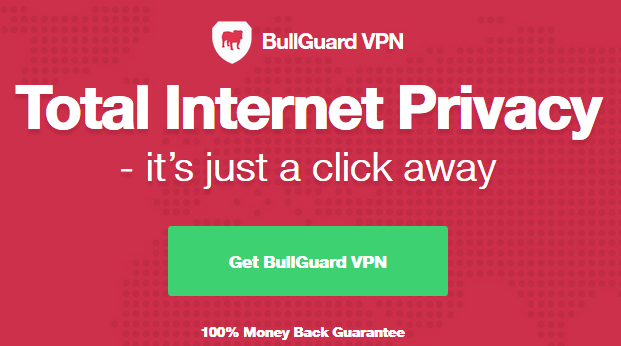 BullGuard VPN is a newly VPN tool published by BullGuard company, which is a famous anti-virus program provider. But this company is discontented with the status and committed to new product research, that is why BullGuard VPN came into the people’s daily life. With BullGuard VPN run on your device, then your total Internet activities are under privacy, it will not make any logs and just keep your surf online safe. It supports six devices simultaneously and is simple and easy to use for greenhand. Why not have a try as it states No logging or tracking policy? Published by Matt Johnston on January 21, 2019 9:02 am and last modified on January 21, 2019 9:03 am. Published by Andrew Gonzalez on January 7, 2019 2:44 pm and last modified on January 15, 2019 8:34 am. BulletVPN is a famous VPN provider based in in Estonia. It is a fast and secure VPN. BulletVPN utilizes 256-bit AES encryption and offers the standard protocols including OpenVPN, L2TP/IPSec, IPSec, IKEv2 and PPTP. It gives you solid protection and disguises your connections to bypass VPN blocking. BulletVPN has a selection of servers in over 19 countries, such as USA, Canada, Germany, France, Australia, Japan, Brazil, Finland, Singapore, and Algeria. When you connect to any of the servers, your IP address will be switched to related location. It hides your online ID to enable you to become anonymous. Even your ISP and government can’t track you. The provider has zero logging policy. That means they do not access or store your traffic. Your privacy will not be invaded. BulletVPN allows unlimited bandwidth and server switches. With the global servers, you can unblock restricted contents, browse the web without limit and download at amazing speed from any country and region. It provides easy-to-use apps for Windows, Mac OSX, Android, iPhone, and iPad. It offers many useful articles on their websites. 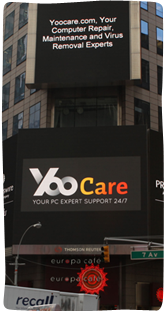 You can find useful information on their setup guides, FAQ and Troubleshoot. If you need their experts’ help, fill the contact form and you will get respond soon. BulletVPN is risk free service because the provider offers 30-day no-questions asked money back guarantee. Feel free to try the service. If you are not satisfied with the service, you can cancel the account and get a refund within 30 days of the purchase. 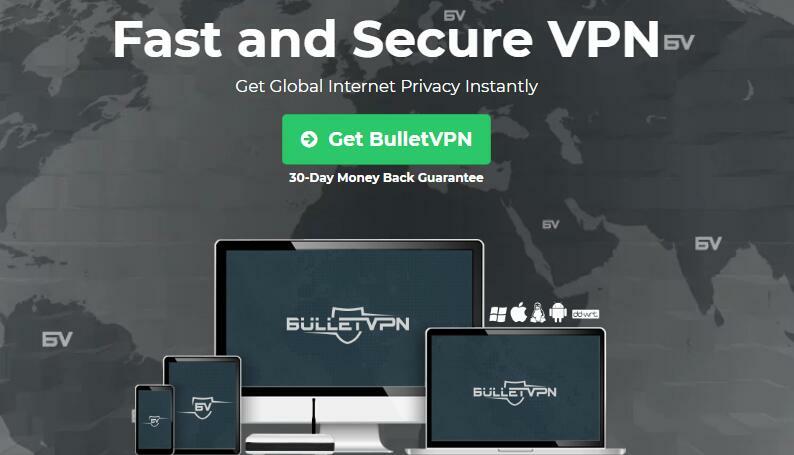 BulletVPN is an affordable service and the provider offers sweet discounts now and then to reward their users. It is a great option if you need a secure and fast Internet solution. Published by Andrew Gonzalez on December 27, 2018 7:58 am and last modified on February 26, 2019 2:27 am. Published by Andrew Gonzalez on December 5, 2018 4:04 pm and last modified on February 21, 2019 9:13 am. Published by Andrew Gonzalez on November 29, 2018 2:00 am and last modified on December 28, 2018 7:27 am. Namecheap VPN Review 2019: Secure and Stable VPN? Published by Andrew Gonzalez on November 14, 2018 4:18 pm and last modified on February 12, 2019 3:44 am. Published by Andrew Gonzalez on November 9, 2018 9:05 am and last modified on February 12, 2019 3:41 am. SurfShark VPN Review 2019 – Is It Worth the Money? Published by Andrew Gonzalez on October 29, 2018 4:35 pm and last modified on February 21, 2019 8:13 am.